Escaping the go go go of a hectic daily schedule can be one of the most invigorating parts of traveling. Yet if you’re logging a lot of miles, trying to maintain a routine that keeps you alert, healthy and refreshed seems almost impossible—until now. If you crave the familiarity of routine while you’re in another city, Kansas City has no shortage of options to help you maintain your priorities, from fitness to fuel to focus. Sure, it’s fun to try new things, but there’s something to be said for indulging in an old favorite, too. 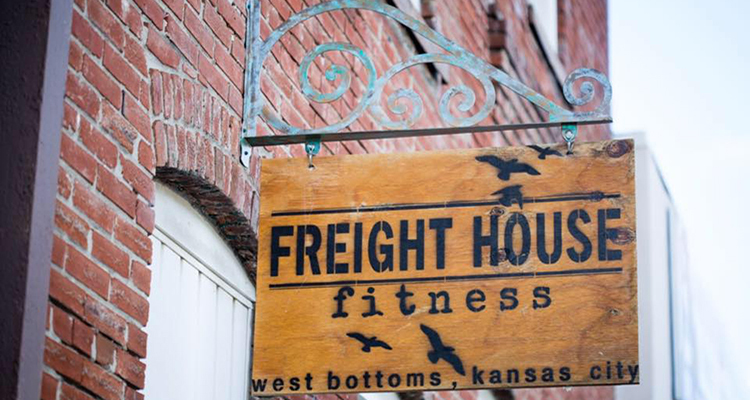 Work up a sweat at Freighthouse Fitness in the heart of Kansas City’s historic Stockyards District. The rustic, industrial aesthetic provides an eye-catching backdrop while you feel the burn of 30-minute boot camp classes. Your first class is free, so check the schedule and simply show up. 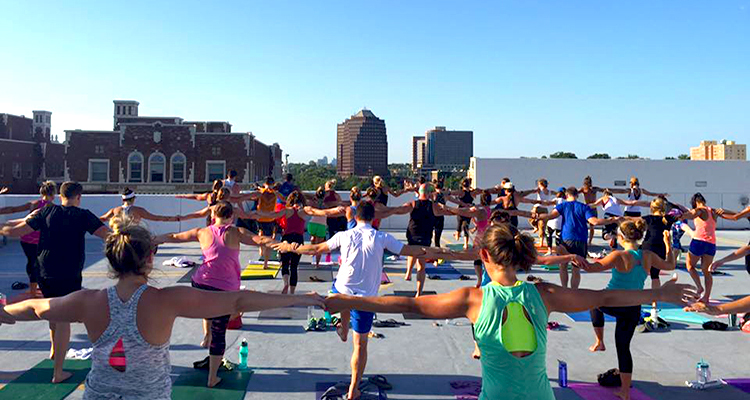 Or try drop-in express yoga for $5 at 6:30 p.m. on Wednesdays and First Fridays. Feel intimidated by yoga? Head to Power Life Yoga, where students of all abilities—including beginners—are welcome. New visitors to Power Life not only get a free week of (unlimited!) classes, but also free mat and sweat towel rental so you don’t have to worry about packing equipment. Within the welcoming, community-driven surroundings of City Gym, you’ll feel like a long-time member in no time. If you want to use weights, machines or cardio equipment, get a daily pass for $10. Or if you want to try a class, group exercise passes are available for $15 per session. Want to mix a little sightseeing with exercise? Join a Run 816 group run, which are free and open to all abilities and distances. The group meets at 6 p.m. on Wednesdays for a short run and at 7 a.m. on Sundays for long runs, which include pace groups and water stops. All runs start and stop at Run 816 in the historic Westport neighborhood so you have no shortage of places to grab a bite or drink when you’re done. All good daily routines start with coffee, right? Kansas City has an abundance of inventive and inviting coffee houses, which means you’re never far from your next caffeine fix. Missouri-based Kaldi’s Coffee has several locations throughout the city so you can stop in for seasonal concoctions, a single origin coffee or a delicious blend from Firepot Nomadic Teas. Grab one of Kaldi’s house-made granola bars and enjoy a delicious snack later in the day. 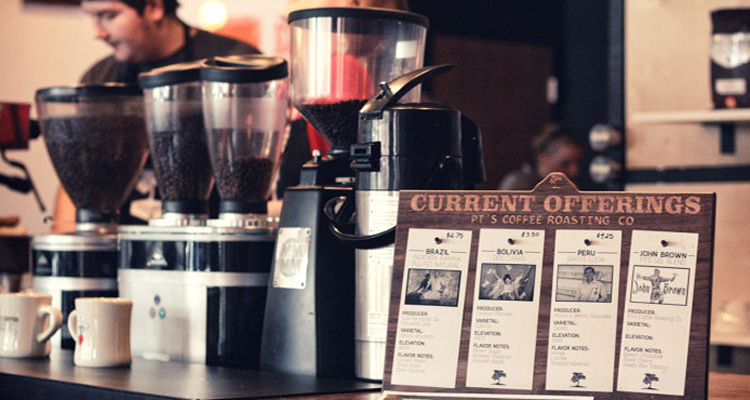 If you’re a frequent traveler, you’ll love the backstory of Crows Coffee. Owner and KC native Zach Moores started the coffee shop after traveling around the country on business. No matter what city he was in, he loved spending time in local coffee shops and wanted to create the same sort of place for Kansas City residents and visitors alike. While you enjoy your new home away from home, sample delights from several favorite local brands, including Messenger Coffee Co., McLain’s Bakery and Christopher Elbow Chocolates. 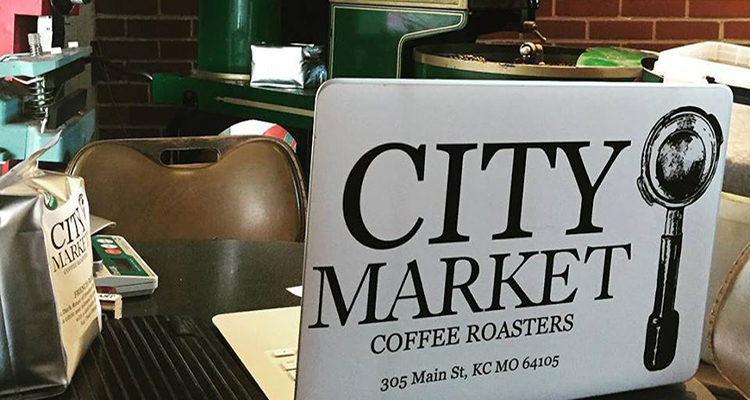 Other notable fuel stops include City Market Coffeehouse, which not only offers a delicious array of house-roasted coffee but also gluten-free and vegan breakfast and lunch options (try a smoothie!). Evolve Juicery and Paleo Kitchen stocks pre-made entrees, snacks and fresh juice blends while t.Loft, a clean eating café, features meal bowls, fresh pressed juice, salads, fruit + grain bowls and more. Or order a one-day cleanse a minimum of 24 hours in advance and pick up a package that includes five juices, one salad and one protein ball. Traveling can wreak havoc on your productivity. Delays, spotty Wi-Fi coverage, demanding meeting or conference schedules—all of these and more can conspire against even the most dedicated of employees. If you need to get your to-do list or inbox under control, try one of Kansas City’s local coworking spaces. 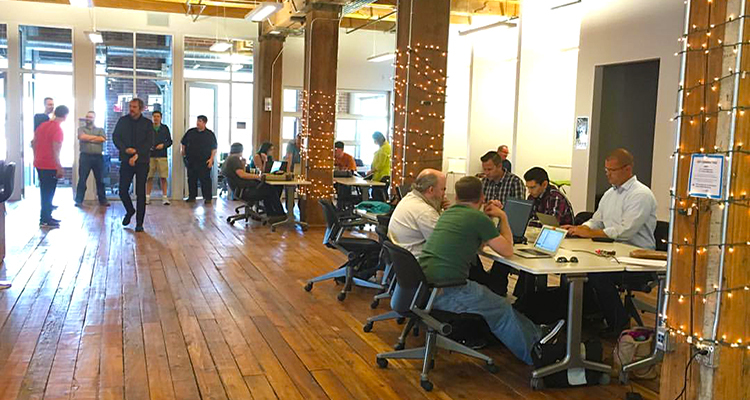 In the Crossroads Arts District, Think Big Coworking is a hub of start-up and entrepreneurial activity. Your first day of coworking is free, and no reservations are required. Or try Village Square, located in the heart of the Kansas City Startup Village. Get a drop-in pass for $10. And if you find yourself in need of a more ongoing arrangement, you can get a 12-pack of drop-in passes for the price of 10.